Ensure you have gained permision to provide us with all images included in your submission prior to sending it. Email a dropbox or gallery share (ie: pixieset) link with a minimum of 50 websize images to SAYHI@TOTHEAISLE.COM - The variety of images should include moments from the ceremony, couple portraits & the party. We can't wait to see the magic! Ensure you have gained permision to provide us with all images included in your submission prior to sending it. Email a dropbox or gallery share (ie: pixieset) link with a minimum of 20 images to SAYHI@TOTHEAISLE.COM including videography if you have it. Please include a word document with the list of vendors involved in the magic. + Our readers appreciate that X factor - does your submission offer the most amount of inspirational content possible? + Ensure you have gained permision to provide us with all images included in your submission prior to sending it. + Is your team excited to share their work with the world? If your submission is successful, actively sharing your published feature assists in promoting those involved, sharing the inspiration and most of all, spreading the LOVE! 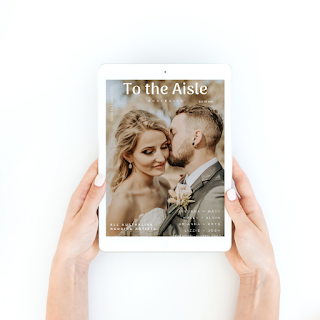 Support the Australian publication supporting your submission - We work hard to make sure your features are celebrated & gain optimum exposure from our gorgeous community & we love seeing your excitement and shares. Tag us at @totheaisleaustralia - YOU ROCK. We are honoured to receive your submission and thank you for thinking of us to share your special day. Due to the volume we receive each week, only submissions that will be proceeding will be contacted. Should you not hear from The Aisle within 5 business days - We encourage you to submit your feature elsewhere & submit any other work for consideration in the future.